Home / Google Plus / Google introduces rel=nofollow in Google+, what can be the effect? Google is using rel=nofollow in Google+ which means certain links will not count anything anymore. This means, SEO spamming takes another hit on its face in its effort to use Google+ recklessly. 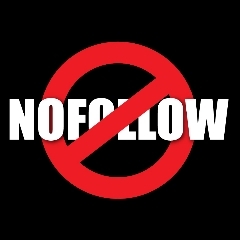 What is rel=nofollow? It simply means, you are asking the search engine crawler (spider) not to pursue or follow a certain link from your content. Why to do it? There can be many reasons but most important reason can be that we don’t want to give any other site we are referring to any extra link juice. As we know, if more people are referring to something, (especially in SNS), Google thinks it to be important and gives it more weight. SEO people tried to use this by posting links to target sites left and right. But if Google applies rel=nofollow, there is no gain by posting those links really. There is one interesting observation which Dan Petrovic pointed out in this excellent article. He found out, the moment you modify any post, your post (i.e. the link in the post) gets a rel=nofollow tail automatically. DO NOT UPDATE OLD POSTS, as he warns. This is too early to predict what is the reason behind this. And at this point, predicting the outcome (or reading between the lines) may embarrass greatly me later. The reason, which can be anybody’s guess, is Google is trying to stop spamming efforts of the site, Google Plus, as they are going to place a huge importance on this site for future search indexing. Google is buckling up for a great change again, beware SEO!